REAL TALK: It’s Time to Trade Jackie Bradley Jr.
Before I’m accosted by all the pink hats and loyal-to-a-fault Sox fans out there, I’m not trying to bash JBJ here. That’s not my intention! But there’s no denying that baseball, like any other sport, is a business. And, as in any business, one must constantly remain on the lookout for timely opportunities to sell on particular assets which, while it may be unpopular in the short term, can have immense benefits in the long run. 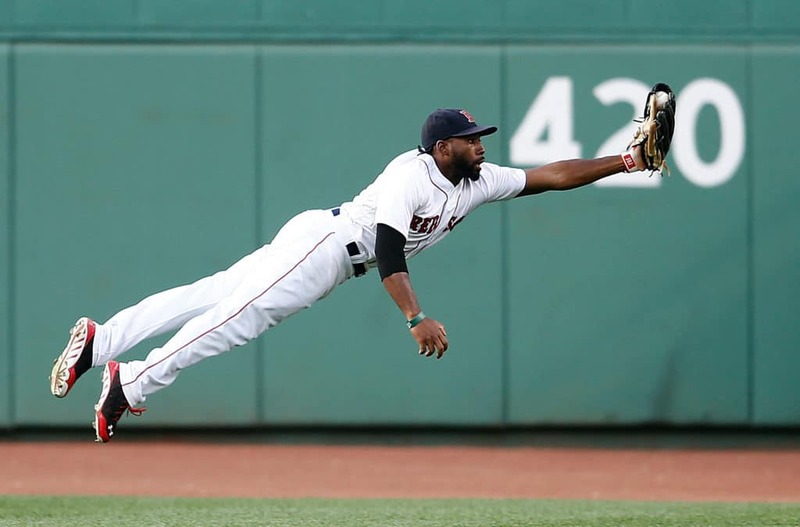 Such is the case with Jackie Bradley, Jr.
JBJ has become a fan favorite over the past few seasons, and rightfully so. Not only does he make highlight-reel catches in center field at least once or twice a week, but the guy was also the ALCS MVP this year and came up with a huge home run in Game 3 of the World Series. He also took home his first Gold Glove award in 2018. The guy is pretty special to watch out there in center. But otherwise? He’s a career .238-hitter with some decent pop who is capable of playing some pretty stellar defense. He’s also incredibly streaky. At times, he can go on runs where he produces like one of the very best hitters in the game; one needs to look no further than his career-best 2016 season, during which he was an All-Star and finished the year with an impressive total (and extreme career outlier) of 26 home runs. But some forget that after a rip-roaring start to that season – which saw him go on a monstrous tear from mid-May through the end of June – Bradley Jr. finished the year by batting just over .230 in the second half. Every season before or since has also seen similar peaks and valleys. Yes, the very few hits he had this postseason were indeed big ones, but it’s still pretty amazing to see a guy who hit ONE-FREAKIN-FIFTY in a series win that particular round’s MVP award. But again, my goal is not to tear down JBJ. I’m just pointing out that we need to SELL HIGH on the 28-year-old, because his value will never be better than it is right now. Moving him could be instrumental for both the team’s continued success and, more importantly, the long-term future of the franchise. The Sox were one of two teams to be penalized this offseason due to being over the luxury tax (the other being the Nationals), which meant they had to pay $12 million to Major League Baseball a few weeks ago and move down 10 spots in the draft order next June. That may seem like a drop in the bucket to a team that is valued at over $3 billion, but it’s still $12 million that could’ve been used otherwise. Bradley Jr. is expected to be one of the top-10 highest paid players on the Sox this year, probably coming in around $7 or $8 million once arbitration is all said and done. While moving JBJ alone won’t even come close to putting the Sox back below the limit, it’s at least a start. Moving his salary, combined with the decision to move on from Craig Kimbrel, would prove to be a step in the right direction for the team’s financial health moving forward – especially with guys like Xander Bogaerts, Chris Sale, and Mookie Betts all hitting free agency within the next two years. These two are going to get PAID when they hit the market. But, in truth, even if the money aspect doesn’t concern you – because, honestly, the team could continue to pay the tax penalty without being crippled – the team’s almost non-existent minor league talent should. Of the top -100 prospects in the game right now, according to MLB.com, the Red Sox have only ONE: Michael Chavis. That’s it. 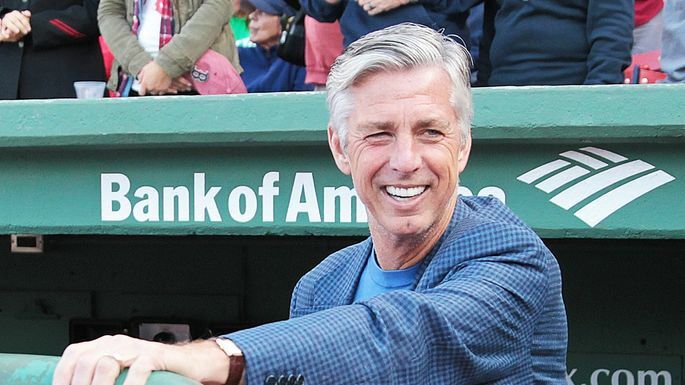 I’m not mad at Dave Dombrowski for selling the farm (literally) in order to acquire some veterans that helped us bring home the title this year. But, at some point, he’s going to have start restocking. And while I doubt Bradley Jr. brings in any big-time blue chip prospects, a team in desperate need of a defensive upgrade might be willing to part with some decent young talent to bring him in. Bradley’s also arbitration-eligible for the next two years and doesn’t hit unrestricted free agency until 2021. Hey Dave, it’s time to start thinking about the future maybeee just a tad more. Even just a little? Finally, even if the Sox felt it was worth it to continue spending above the limit for 2019, I’d rather see that $7 or $8 million (or even less than that) spent on one of the free-agent relievers that remain on the market. While guys like Adam Ottavino and Zach Britton might be out of the Sox’s price range, someone like David Robertson or Jesse Chavez could be had on the cheap. So, the Sox could save a bit of money AND bring in some much-needed bullpen depth by making the move, too. Look, while we would be without a few “oooh-ahhh” catches and some timely (but extremely streaky) hitting, the Sox could survive without JBJ next season. At 28 years old and coming off some big postseason swings, he will never look better in the eyes of others around the league than right now, and it just makes too much sense to let this opportunity slip by. This entry was posted in Red Sox and tagged Boston, Boston Red Sox, Hot Stove, Jackie Bradley, Jackie Bradley Jr, Jackie Bradley Jr. Trade, Jackie Bradley Trade, MLB, MLB Hot Stove, Opinion, Red Sox, Red Sox Offseason, Red Sox Rumors, Red Sox Trade, Sox, Sox Rumors. Bookmark the permalink.